My dream of writing and getting a book published finally came true. 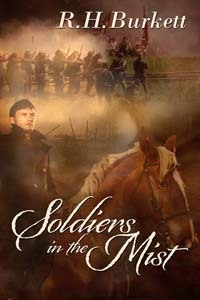 Soldiers From the Mist (http://www.tinyurl.com/cd77w8b) was released in March 2011 from the High Hill Press AND my second book, The Rook and The Raven (http://www.tinyurl.com/CSS92ud) was released from The Wild Rose Press February 2012. 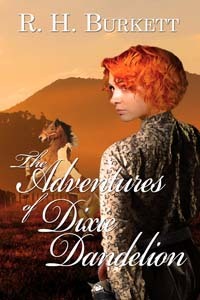 Not only that, but I’m working on two more best sellers, The Legend of Dixie Dandelion and The Church of the Howling Moon. I was under the delusion that once I got a book published, I’d have it made in the shade. Those royalty checks would roll in like the tide. Movie producers would trample themselves getting to my front door. I do lunch with Oprah and Ellen. I’d quit my day job. I found out that writing a book is the easiest part of the writing game. It’s what comes after “The End” that makes an author stark, raving loony tunes—Promotion! Big signing parties thrown by New York publishers are a thing of the past. If you want to sell books and get everyone buzzing, you have to promote. And where do you promote? The Internet of course. Social media is fast becoming a four-letter word for me. Facebook, Pinterest, and Twitter, oh my! Blogs, tweets, and posts, oh my! This old dog has to learn new tricks. It’s not that I’m a stupid dog, quite the contrary, I’m fairly intelligent. I can rollover and sit up with the best of em’, And speak? My bark demands respect. Nope, brains aren’t the problem. So what’s wrong? Why can’t I figure out how to add an author page to Facebook? Why do words such as link and pin cause cold sweat to run down the back of my neck? Just what the car fur is wrong?????????????? Do you think it could possibly be my attitude that is causing this aversion to conquering the land of the Internet? Ok. I can learn this social media crap. Just watch me. I’ll tweet with the birds and post with the . . . the . . . well, whoever you post with. I can do it. I honestly can. But first, I have to trot down to the store. I need a new box of milk bones! 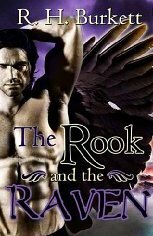 This entry was posted in milk bones, pinterest, R.H.Burkett, Ruth Burkett Weeks, Soldiers from the Mist, The Rook and The Raven. Bookmark the permalink. Oh, Ruth, I love your wit! I'll tell you true, you need to let the natural "Ruth" come out and play. The internet will be just one more playground then. And if you ever get too mad, just think of the 'net as a fire hydrant and do what comes naturally! Figuratively speaking, of course. Haha! Pam, I laughed outloud. You're so right. it's up to my boots. Thanks, Duke. Sometimes I'm funny. Yes, the task of promoting is daunting. I wade into it, just to find out how complex it is and wish I had a publicist. But they don't come out to play with the paltry amount I can spare. Oh good heavens sis, are you still eating those milk bones?Good greve Charlie Brown!